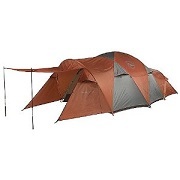 Need a new backpacking tent? 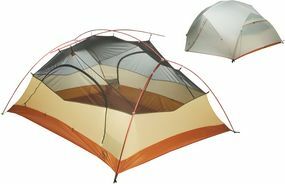 Then read up on Big Agnes tents! We've reviewed the best Big Agnes camping tents, including the Seedhouse, Fly Creek & more! For some of the toughest, lightest, most comfortable, and longest-lasting camping tents on the market, check out the Big Agnes catalogue. Whether you're planning a 2-person, 1-night stay in the dead of winter or an 8-person, 7-night stay at the height of summer, Big Agnes has the perfect shelter for your needs. If you're new to the camping tent game--or if you just don't know that much about Big Agnes--do yourself a favor and take some time to become acquainted with this powerhouse manufacturer. 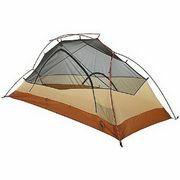 Because, really, the best Big Agnes tents available are indeed some of the best camping tents for sale in the world. 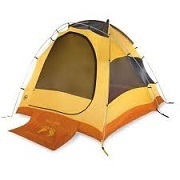 Big Agnes is an award-winning manufacturer of camping gear, most notably tents. They may not have the household-name-clout of North Face, MSR, or Black Diamond, but Big Agnes can play hardball with the best of them when it comes to quality design, durable construction, and affordable prices. Beyond making tents, Big Agnes is also a socially responsible company, often making contributions to non-profit organizations and working with eco-safe materials. Among the many outfits Big Agnes tents supports are: The Conservation Alliance, American Mountain Guides Association, and Continental Divide Trail Alliance. In order to create as little a carbon footprint as possible, Big Agnes also creates many products from 100% recycled products and is always focused on the innovation of environmentally safe manufacturing practices. Big Agnes is a big company with a big conscience, which wouldn't make much of a difference if their tents weren't all that great. Fortunately, for them and for you, their tents are SUPERB. 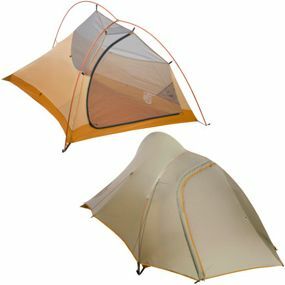 The Big Agnes Fly Creek is the Backpacker's 2010 Editor's Choice Award winner and the ultimate experience in ultra-lightweight camping. There are certainly drawbacks to this model--mostly dealing with the lack of abundant interior space--but they are to be expected when you choose an ultralight, backpacking tent as compact as this. Even smaller than the Seedhouse, but built with incredibly durable components, the Fly Creek will keep you warm, dry, and safe in even the nastiest weather. Some of the Fly Creek's better features include: the most advanced lightweight poles made from TH72M aluminum, DAC Twist clips for super-fast raising, and reflective webbing and guyout for nocturnal visibility. The ultralight construction of the Fly Creek is a work of art. Seriously. This thing weighs 2 pounds, 2 ounces. 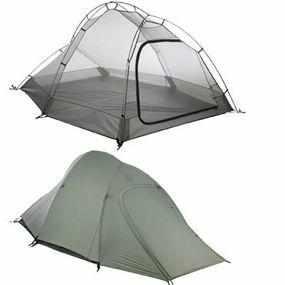 Add in the face that it's durable enough to withstand years of heavy use and a silicone- and polyurethane-coated material for full waterproofness and you have one of the best ultralight tents ever made. 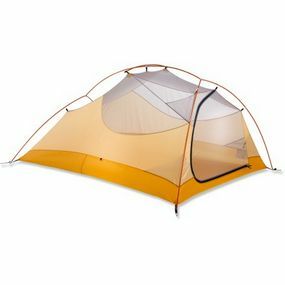 While the Big Agnes Seedhouse tent is a bit larger than the Fly Creek model, in terms of interior acreage, it's still a bit cramped for two people. Sleeping is fine, but when you get up in the morning and try to get dressed with two campers sharing the space, things can get cramped. 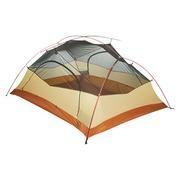 But that's just about the only thing to gripe about with this ultra-lightweight, easy-to-use, 3 season tent. For campers who count every ounce they carry, it doesn't get much better than the Seedhouse. This is ultralight backpacking at its almost best (see the Fly Creek for the top spot). 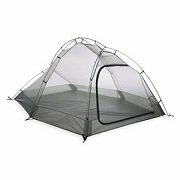 The Seedhouse features a number of great tenting innovations, including: a fantastic pole design that offers unmatched headroom (given the size and weight of the structure), sealed seams for excellent waterproofing, and plenty of built-in storage options. 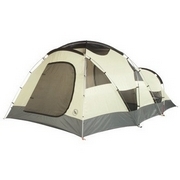 360-degree views, extra headroom without extra weight... man, this tent is nearly perfect! The lightweight hub/pole construction makes all of this possible. 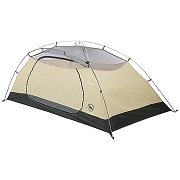 However, it does collect more condensation than most tents at this price point. Also, the rain fly must be used otherwise the walls can sag (this probably leads to the added condensation). 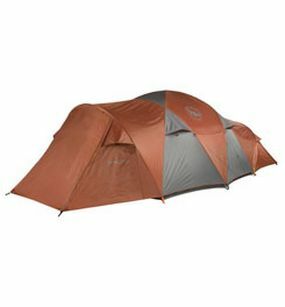 The new and improved Big Agnes Copper Spur UL offers plenty to cheer about: great lightweight design, fairly small packed size, and a sturdy construction that can stand up to a great deal of Nature's might. At $399.95, it's cheaper than the Seedhouse--by quite a bit--but that comes with a small price: it's a touch heavier. But do a couple of ounces really matter when you're talking about almost $100 off the price? Unless you're obsessively counting every ounce for a backpacking trip, a few ounces heavier for your tent shouldn't make a difference. For the amount of quality you get at such a low price, the value of the Copper Spur is pretty much incomparable. Some excellent features of the Copper Spur include: DAC FeatherLite NSL poles created without harmful chemicals, rain fly crafted from ultra-light ripstop nylon treated with silicone-coating, and reflective surface for visibility in the dark.